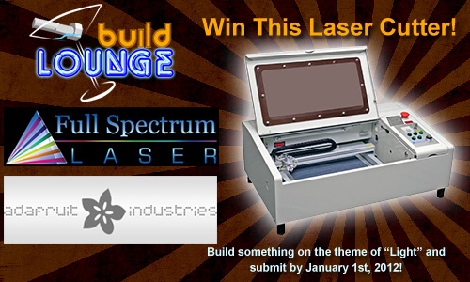 A few months ago, Buildlounge and Full Spectrum Laser started a contest to win a 40 Watt laser cutter. The only requirement? Submit a project that uses light in some way. The deadline is now over and voting is open, right on the buildlounge.com page. First place gets a 40 Watt laser cutter provided by Full Spectrum Laser. Second place is a neat green laser courtesy of Wicked Lasers, and Third place is an EL wire starter kit from Adafruit. There’s a lot of really awesome projects that were submitted for this contest. The laser terminal looks really cool, as does the friggin huge LED wall and choreographed light show. We would be remiss if we neglected to mention that there’s a home-made x-ray machine in the running, and of course there’s the mathematical precision of fellow Hack a Day-er [Jack]’s solar clock that isn’t a sundial. The guys at Buildlounge got a lot of submissions for this project, so head on over and vote for your favorite. The winners will be announced next week, Friday, the 13th of January. After taking the Stanford Machine Learning class offered over the Internet last year, [David Singleton] thought he could build something really cool. 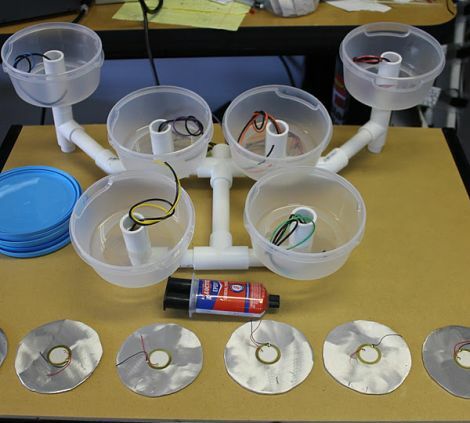 We have to admit that he nailed it with his neural network controlled car. There’s not much to the build; it’s just an Android phone, an Arduino and a toy car. The machine learning part of this build really makes it special. A neural network takes a whole bunch of inputs and represents them as a node in a network. Each node in [Davids]’s input layer corresponds to a pixel retrieved from his phone’s camera. All the inputs of the input layer are connected to 64 nodes in the ‘hidden layer’. The nodes in the hidden layer are connected to the four output nodes, namely left, right, forward and reverse. After training the network and weighting all the connections, [David] got a toy car to drive around a track. Weird, but it works. All the code is up on github, so feel free to take a look behind the inner machinations of a neural net. Of course, you could check out the video of [David]’s car in action after the break. EDIT: We originally credited [icebrain] as the author. Our bad, and we hope [David] doesn’t hate us now. 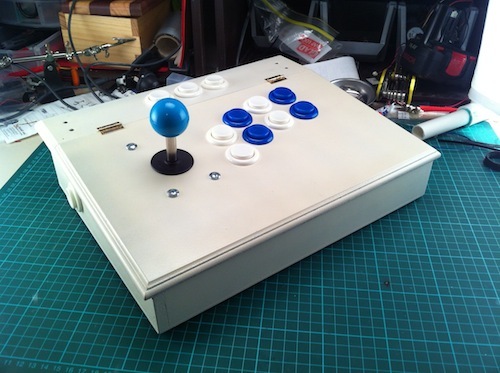 You can check out [Gabriel]’s demo of his heliostat after the break.